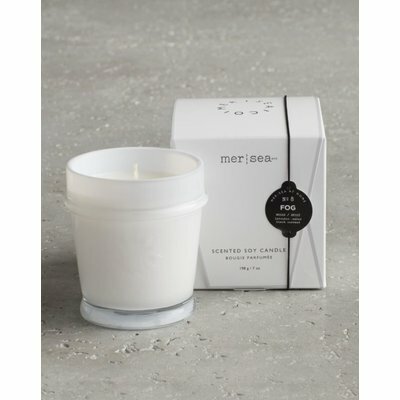 Mer-Sea & Co.'s classic 7 oz. candles are poured in sheer, luminescent glass vessels that can be repurposed as beautiful votive candle holders. 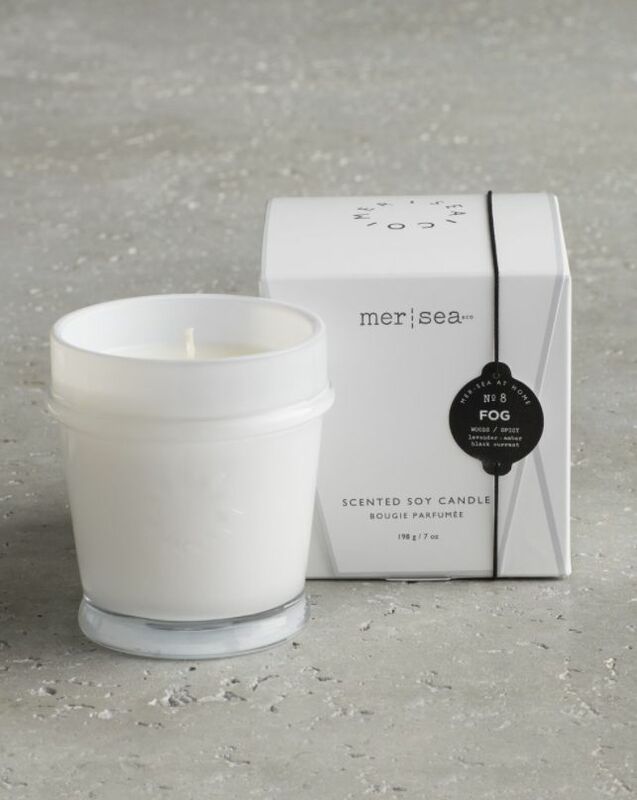 Hand-poured in the USA using essential oils and fine fragrances, we use a clean-burning proprietary soy wax blend with an all cotton, lead-free wick. 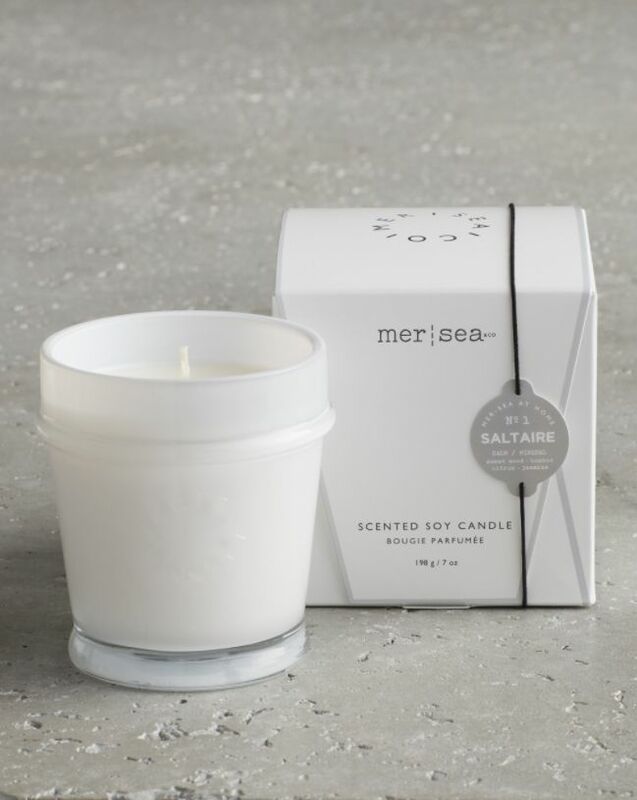 Packaged in a beautiful, newly-designed box. 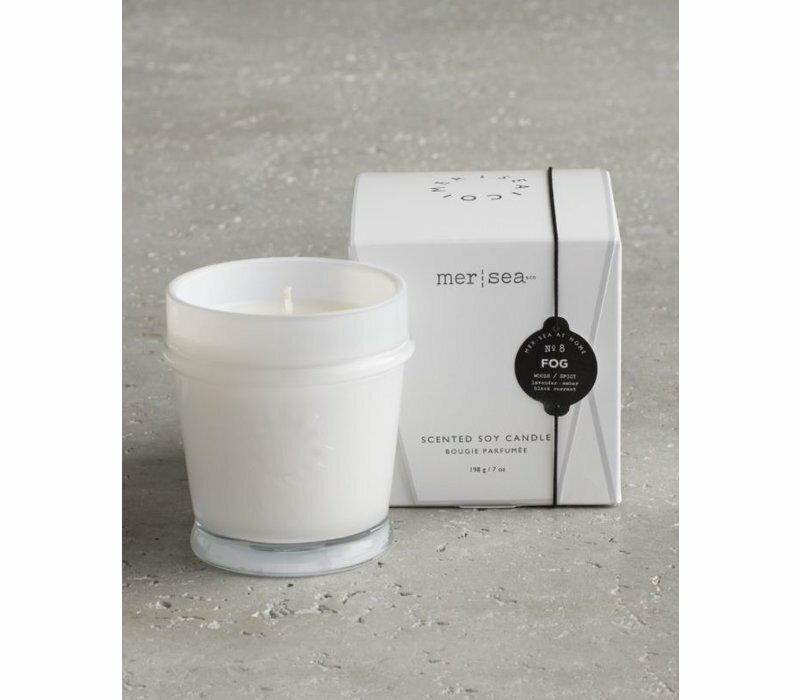 Our 7oz. 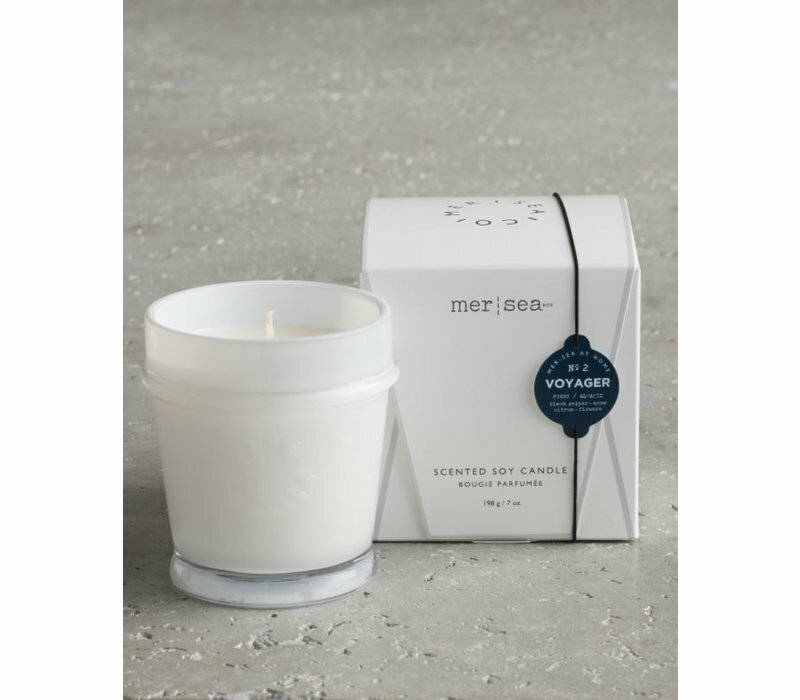 candles offer approximately 45 hours of burn time. 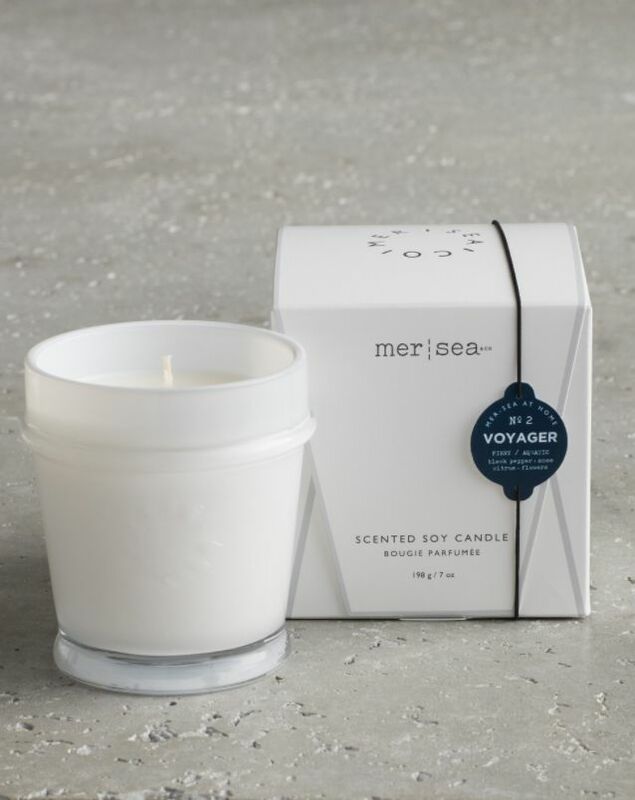 Pique-Nique: Jasmine, rose, and lily mixed with garden greens followed by coconut, apple, and wood round out this fragrant French floral. 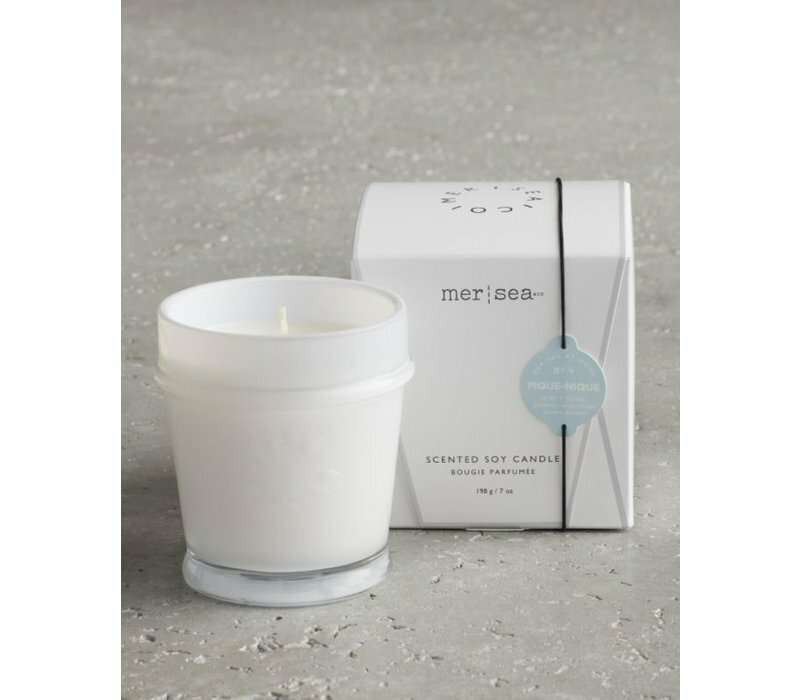 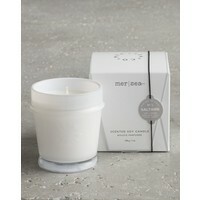 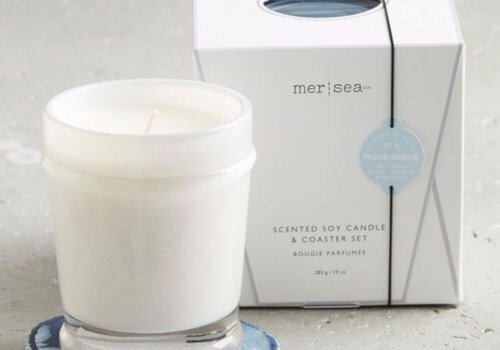 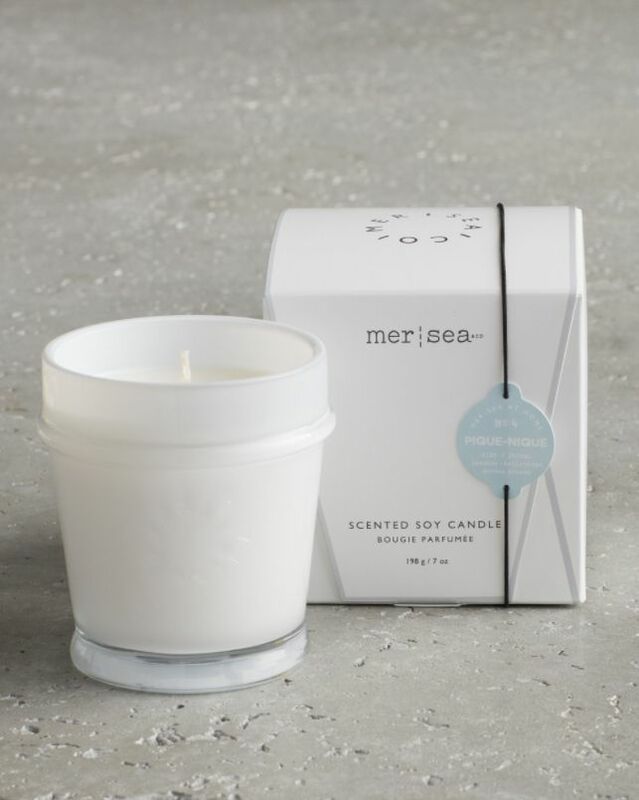 Each Mer-Sea & Co. candle is long lasting and smells wonderful. 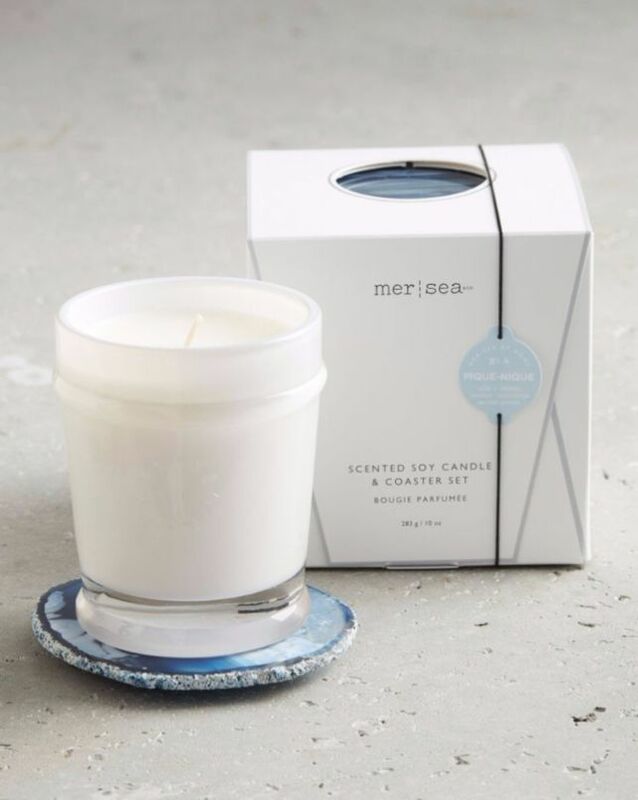 Accompanied by an agate coaster, the candles are a unique gift for anyone in your life.